We talk with pastors, leaders, counselors, parents and other care-givers who are struggling to be “cheerful givers” (2 Corinthians 9:7). In their helping of others they’ve become tired, stressed, or burned out. Problems with setting boundaries are a main reason why many pastors and leaders experience overwhelming ministry stress and eventually burnout. Most people are surprised when I show them from the Bible examples of Jesus setting boundaries and practicing personal soul care. It’s no wonder we overdo in ministry, get worn out, and even burnout! Jesus had far more stress, far more pressure, and far more responsibility than any of us and yet he remained relaxed, joyful, and generous with people. He models and mediates for us living in God’s rhythms of grace. Before we consider the Scriptures on Jesus’ way of life let’s make sure that we understand what our boundaries are and their importance to us and our relationship with the Lord. Personal boundaries are what define your identity. They’re like the property lines around a home. This is my property and that is not my property. This is me — what I value, am good at, believe, need, or feel — and that is not me. Tired care-givers often have trouble saying no and avoid speaking the truth in love. They are more readily drawn into trying to rescue other people and without realizing it may end up enabling selfish or irresponsible behavior in the people they’re trying to help. They may get so enmeshed with the people they care for, trying to continually to please them and walking on eggshells for fear of upsetting them, that they “lose themselves.” They lose track of what they need and what’s important to them or what God has called them to do. At some point they may realize that they’re not being their true, God created and God redeemed self. Usually people who minister to others as pastors or counselors are sensitive-hearted and prone to take on other people’s problems. If they don’t have clear personal boundaries and limits they get weighed down and walked on. Eventually they start having problems with anger, resentment, stress overload, or burn out. They just can’t continue being so helpful and caring all the time! 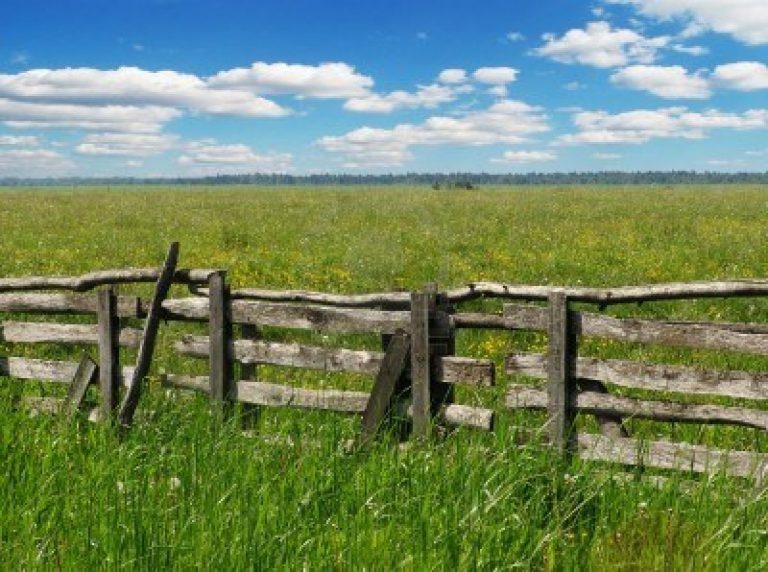 In the early years of my ministry as a counselor and pastor, like many Christian leaders, I had the problem of feeling guilty if I set boundaries. I thought I had to say yes to what people felt they needed from me. I tried to please people and make them happy — I never wanted anyone to be disappointed or upset with me. To me it seemed selfish or “not nice” to say no to people with hurts and needs. Finally I realized that I was not experiencing Jesus’ words, “It’s more blessed to give than to receive” (Acts 20:35). The problem was me! I was not a cheerful giver. I was giving out of compulsion and emptiness and wasn’t experiencing the grace of God abounding to me so that I could become a cheerful giver (2 Corinthians 9:7-9). I wasn’t looking to God enough, but was relying on myself to do more to help other people. My pressured, enmeshed, and selfless way of helping others was causing me to be more and more anxious, depressed, and angry. One of the things that helped turn me around before I totally burned out was to look prayerfully at the life of Jesus. I studied the gospels carefully and learned some things that surprised me because I hadn’t been taught them in church. I saw Jesus setting boundaries repeatedly. Jesus had personal needs that he put priority on — sometimes even over the needs of other people — and he did so without feeling guilty. Primarily his personal soul care had to do with separating himself from people to be alone with God, who he called “Abba” (Papa). Jesus lived in a rhythm of life that not only kept him free from burn out, but far beyond that it kept him full of God, full of grace and truth, and therefore ready and able to be compassionate and generous in his his response to people, their needs, interruptions, and crisis situations. Unlike many other servants of the Lord, Jesus did not live on the defensive, overextending himself and getting more and more tired and then finally taking a break. Instead, Jesus lived on the offensive in dealing with temptation and Satan. He was proactive in that he consistently invested in his intimacy with Abba and this gave him energy and focus. Because he lived this way he was never in danger of burnout. These understandings about Jesus’ way of life helped me to trust that it was right (not only healthy, but also holy) for me to learn how to say no to people, speak the truth in love, and live within my personal limitations. In outline form I’d like to share with you some of the key points of my Bible study on Jesus Setting Boundaries. This is the same outline I’ve used in many classes I’ve taught to pastors, church counselors, and other ministry leaders on setting limits and learning to be joyful givers. I encourage you to look up the Scriptures and study their contexts and other related passages from the Bible. Meditate and pray. Ask Jesus to teach you to live your life in the way that he would if he were you. Meeting His Personal Needs. He ate healthy foods, got the sleep he needed and even took naps, took time to relax, and did a lot of walking (Matt 26:18, 20; Mark 1:16, 3:23, 4:38; Luke 7:36; John 10:40, 12:2). Receiving Support from Friends. He sought the company of friends (Matt 26:36-38). Enjoying Solitude. He withdrew from the crowds to go away on retreat, alone or with friends. Enjoying the Moment (This people, this place, this time). He left one city to go to another because he couldn’t be in two places at the same time (Mark 1:38). Unhurried Pace of Life. He was never in a hurry, except to go to Jerusalem and embrace his cross (John 11:6; Mark 10:32). Demands. He withdrew from the crowds who wanted him, for one-on-one time with the Father (Luke 5:15-16). Abuse. He fought his way through the crowd that was trying to throw him off a cliff for claiming to be the Messiah (Luke 4:28-30). Entitlement. He didn’t give in to his mother and brothers who tried to use their relationship with him to pull him away from the crowd he was ministering to (Matthew 12:46-50). Baiting Questions. When the religious leaders asked him baiting questions to make him look foolish he answered with incisive questions of his own (Matthew 21:23-27, 22:15-22). Cynicism. He said no to Herod’s mocking demand, “Show us a sign that you are the Son of God.” (Luke 23:8-9). Manipulation. He said no to Peter and the disciples who had an inappropriate agenda for Jesus to a political king or military warrior rather than a sacrificial lamb. (Matthew 16:23). Pride. He didn’t heal those who were too proud to trust Him (Matthew 13:58). Exploitation. He used a whip to clear out the temple of the vendors and money changers who were taking advantage of the poor and turning God’s house into a marketplace (Matthew 21:12-17, John 2:12-16). Addiction. He told the Rich Young Ruler that he couldn’t help him until he gave away the money that was controlling him (Matthew 19:16-21). Misguided. He rebuked the disciples who tried to keep the little children away from him and told them that they needed to emulate the children’s faith (Matthew 19:13-15). What do you want? Two blind men called out to him for help from the Jericho road. He asked them, “What do you want me to do for you?” They needed to ask for what they needed and they needed to trust Him (Matthew 20:29-34). Do you want to get well? For 38 years the invalid at the Sheep gate pool hadn’t been able to get into the miracle waters. He felt helpless and sorry for himself. He expected someone to fix his problem. Jesus challenged him, “Do you want to get well?… Get up! Pick up your mat and walk.” It was up to him to be motivated and to take responsibility for himself (John 5:1-14). Do you believe? A father sought deliverance for his son who was mute and had seizures and said to Jesus, “If you can do anything, take pity on us and help us.” Jesus put it back on the father, “`If you can’? Everything is possible for him who believes.” The father needed to believe that Jesus could cure his son (Mark 9:17-27). The humble and broken. To the woman caught in adultery he offered grace (“Neither do I condemn you.”) and truth (“Go and sin no more.”). Personal Prayer Time: “But when you pray, go into your room, close the door and pray to your Father, who is unseen” (Matthew 6:6). Be Honest and Direct (Don’t Pressure People or Try to Get Them to Do Things): “Simply let your ‘Yes’ be ‘Yes,’ and your ‘No,’ ‘No’; anything beyond this comes from the evil one” (Matthew 5:37). Set Priorities: “No servant can serve two masters. Either he will hate the one and love the other, or he will be devoted to the one and despise the other” (Luke 16:13). Please God, Not People: “How can you believe if you accept praise from one another, yet make no effort to obtain the praise that comes from the only God?” (John 5:44). Obey God: “What do you think? There was a man who had two sons. He went to the first and said, ‘Son, go and work today in the vineyard.’ ‘I will not,’ he answered, but later he changed his mind and went. Then the father went to the other son and said the same thing. He answered, ‘I will, sir,’ but he did not go. Which of the two did what his father wanted?” “’The first,’ they answered” (Matthew 21:28-31). In my book Your Best Life In Jesus’ Easy Yoke I show you how apprenticing yourself to Jesus (learning to live in his easy yoke) is the key to a life of peace and power! This is very good and biblical advice!! Very helpful and practical! Blessings to you! People who have consequences from sinful actions need to repent, forgive, and offer forgivenss for wrong done to themselves, and for the many willful sins and their consequences. Then they need to live a new life in Christ. Refusing to recognize and set boundaries is a sure way to fall back into the old way of life with all of it’s snares. This blog post has been an amazing blessing in my life. I will be checking out your book as well. Thank you for your obedience to God and His will for your life. Oh! How the teacher will appear when the student is ready. Thank you for this timely article! A friend sent it to me after I had experienced a series of disrespect and dishonor from members of the Body. I had little or no boundaries in my ministry and so this was allowed to happen. This is going to teach me to be proactive rather than being reactive . Hello and thank you so very much for this article. I did a random Google search asking the question what does The Bible say about boundaries. This article was 1 of 3 and the Holy Spirit led me to select this 1. I truly believe in God’s divine intervention and I’m so grateful for this article as it will help me to discover more about myself and the boundaries that I need to set in order to experience the best life God has in for me. Thank you! Thank you for this great article on boundaries. I just ordered your book–it would be a good resource for on-going formation for myself and for the ministers I work with. Boundaries is one of the areas I teach volunteers and ministers about in my work. Is this available to reprint and share for teaching purposes? Please advise, and blessings on your ministry! Hi Mary, we bless you to use our resources. We kindly ask that you refer people to http://www.SoulShepherding.org. Blessings! In the bullet point “basic needs” is the first verse supposed to be Matt. 4:6-7? I’m confused how it ties into the point. Thank you for this article! It is something I need to ask God to help teach me. Thanks for pointing this out DeeDee. I’ve fixed the Scripture reference and made that whole section more clear. The Lord is talking to me about setting boundaries. What hit me was how we are ENABLING some people to have wrong behaviours when not setting boundaries. We are not helping them. I found this very helpful, thank you. Truly very inspiring article. That as a christian I can live peacefully by setting healthy boundaries like Jesus did. God bless you as you continue to serve Him by helping you write such articles. Thank you for this article – I found it immensely helpful in my reflection on selflessness, and it really helped me to answer a few questions I had about how I can be selfless without neglecting my own needs. You had a really good point about working to please God, and not man, which really resonated with me. I think I was thinking too much about how to please others when really I should have been thinking about how best to please and honour God with all that I do. This is very true! Beautifully written. I was a confused soul that was drained from helping others. It’s now clarified. I can say no to bad behaviour. Helping others help themselves is possible. Til Kingdom come, thy will be done dear Lord. I love this and it’s validating some of what I thought. I’ve passed it on to many. Hi Josie, I have added you to receive our weekly devotional and you are welcome to all of our 800+ free resources on our website. God bless you! Would you mind if I use your artikle to post on another website? I will acknowledge you as the writer of the artikle. Carin, we’re happy for you to share any of our articles. Glad it was helpful! I have a group of young people i fellowship with in Uganda. This imforation is so good. What an incredible, insightful article. Thank you greatly for writing this. My biggest struggle has been to set boundaries. I always felt so guilty to do for myself. I appreciate this so much! Thks so much for the article. I am involved in caring for disable for 20 yrs . Now on 6 mths rest. A church ask me to be involved in their community services. well l am having cold feet. Praying for confident and courage, don’t know whether l am ready for it.